We were delighted to be chosen to take part in 'Food dudes' again this term, with a 16 day programme for the junior room and an 8 day initiative for the senior room. 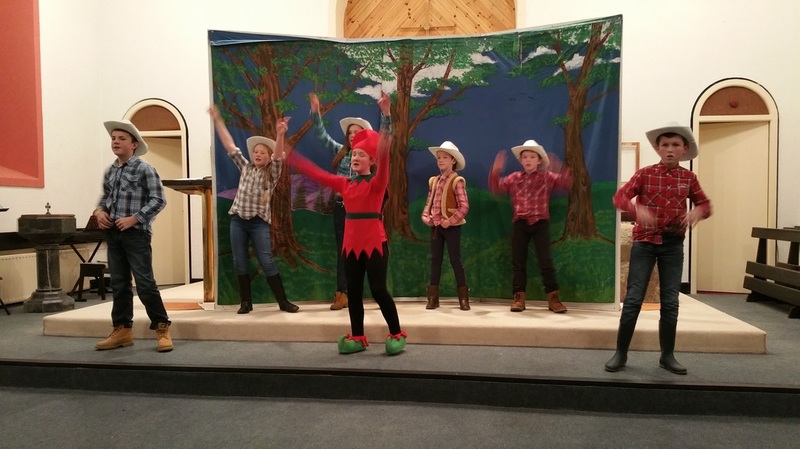 The children wowed the community yet again to another packed house on 3rd December 2015. From the very entertaining Irish dancing display (of course the boy's version of the brush dance!!) and their musical and singing talents to the finale of the night, their version of "The Grinch who Stole Christmas" under the guidance and supervision of Jared Madden and Ms. Hogan & Miss. Darcy! A wonderful night was had by all. 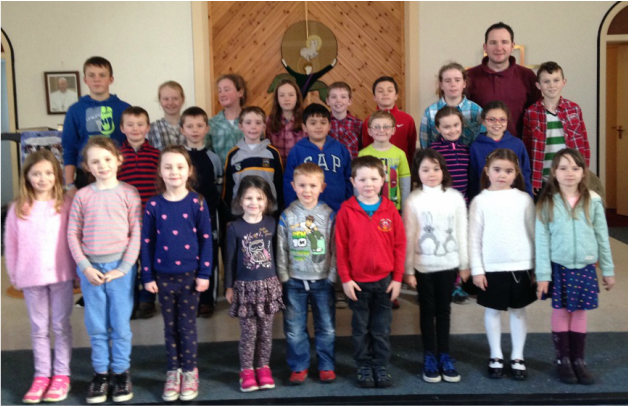 Congratulations to all the children who performed in yet another wonderful Christmas Concert on Thursday, 3rd December in Redwood Church. Thank you to Jared Madden for directing the play and also to Stephanie Power for the children's wonderful displays! As you may be aware, we were recently given a defibrillator by the Mark Heffernan Trust in Tullamore. We envisage that the defibrillator, while located in the school, will also be available for use in the local community should it be needed. We are hoping to organise CPR and defibrillator training some evening in the school and would like an idea of numbers interested. It would take place from approx 7 – 10 p.m. with Birr First Responders. The cost is €10 per person which covers the cost of the certificate. It is a wonderful life saving skill to have and the training is relevant for two years. Art Mural : We are delighted to have the wonderfully talented ( and patient!!) Dennis Velasco creating our art mural with all the children. Denis has worked exceptionally hard on designing and planning the art template for the school. The children all love helping out with the painting and are all leaving their own mark on the school walls! Please feel free to contact us if there is anything that you wish to discuss. We will use the Parent / Teacher section of your child’s diary to communicate messages, so please look at this daily. Homework: It is our policy to give homework every night. Please sign the homework diary every night. Wishing all pupils, parents and teachers a successful year ahead!